A conversation with Abdulmojeed Olakunle Dabiri presents a treat any day. You get the impression that you are in the presence of an intellectual; one that truly knows his onions and believes in the beauty of his dreams and those of his country. 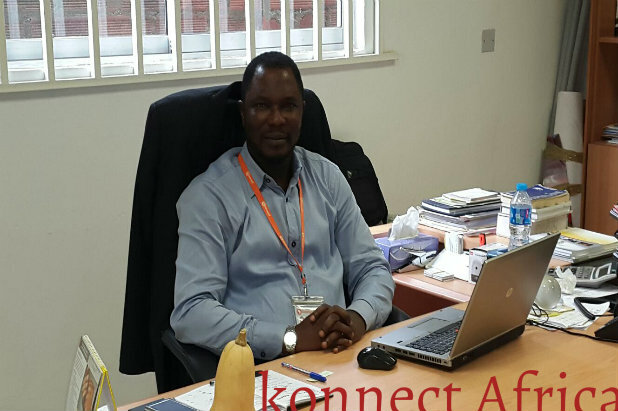 Olakunle Dabiri is a force to reckon with in the Nigerian agricultural sector. 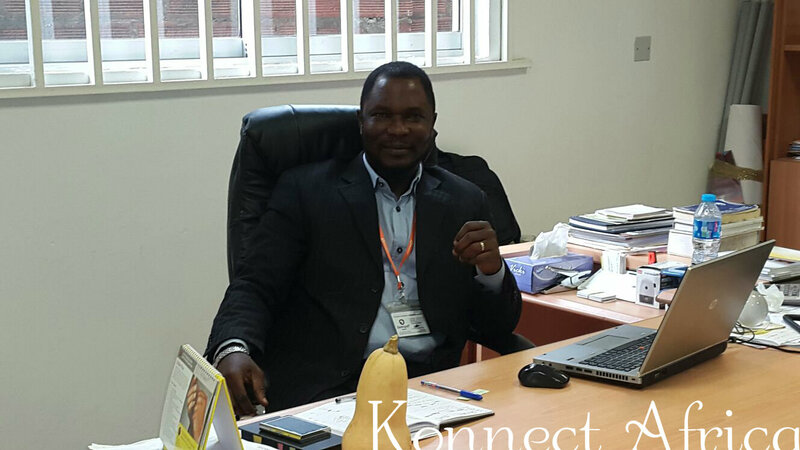 He is on a mission to create amazing solutions and redefine the sector in Nigeria and indeed Africa. Despite his enormous achievements, Dabiri has no reason to go slow just yet. His sight is set on the laurel on the hills. In this exclusive interview, he talks about his little beginnings, the future he sees, prospects in agriculture and of course some success tips for the African youth. Just the perfect way to begin your week. Read on and share your thoughts in the comment section. First and foremost I am a Nigerian. My name is Abdulmojeed Olakunle Dabiri, I was born in Lagos, both my parents are from Lagos and I had my primary and secondary education in Lagos. I am a Yoruba man from Lagos, South Western Nigeria, I grew up in Lagos. I attended St Peters UNA Primary school, it’s a public school. I never had the opportunity of going to a private school. Never! After that, I went on to St. Lukes Grammar School, it is also in Akoka, somewhere around Bariga and after that I had a brief stint at the University of Lagos where I was studying Botany, but Botany wasn’t it for me, it wasn’t what I wanted, I wanted to study medicine and when I couldn’t make medicine, I was offered Botany. I did that for one year and because my mind wasn’t there, I had to write JAMB again and then I chose engineering this time around and I felt not everybody will be doctors, some of us could be engineers as well, so even though my primary dream was to be a medical doctor, but then I changed. Eventually I got admitted to the Federal University of Technology, Akure, where I studied agricultural engineering and after that it was very tough for me. Post NYSC, I was in the job market for 8 solid years. I had no job for eight years. Meanwhile, I was born into a polygamous family, my father had 21 of us, and I am the number 13 on the hierarchy, the last from my mum and the 13th from my dad. It was really tough going through primary and secondary school. We were never rich, we just managed to get by and pull through school, my tertiary education was also very tough, but I managed to come out with a 2:1 in Agricultural engineering and began looking for a job for eight years. You’ve had an impressive scale in your career. How exactly did you begin? Recall I mentioned that I was in the job market for eight years. By the 8th year, I got my first job. I was employed by the Central Bank of Nigeria (CBN). So I started there, those days between 2002/2003, CBN was just looking for the best hands all over the place, whether you studied, engineering, agriculture or banking it didn’t matter to them. There were many engineers who applied the same time as me, but I think it was because of the agriculture attached to my engineering, that I was sent to the Development Finance Department of the CBN. It is the department in CBN that supervises, promulgates policies, and oversees for agricultural lending in Nigeria So that’s where I was. From 2004, I started from the Abeokuta branch of the CBN. By January 2007, I was moved to the head office in Abuja, where I was till 2009. I resigned voluntarily from CBN because I wanted to have something more to do with the grass roots as far as agriculture is concerned.So I had a first opportunity to work with an NGO known as International Fertilizer Development Center (IFDC) I was employed as credit specialist from February 2009 for the Bill & Melinda Gates funded Nigeria Agroc Dealer Support (NADS) Project for close to 3 years, Feb 2009-Dec 2011. After that I had another stint with another NGO called TechnoServe we were then implementing a DFID funded programme called Propcom Mai-Karfi as the Intervention Manager for agricultural mechanization. I was the intervention manager pan-Nigeria, interfacing with all companies representing tractor manufacturers in Nigeria, like TATA, Dizengoff, SCOA etc. So I had a 2 year stint with Technoserve and then I moved on to TATA, where I was heading the agricultural equipment unit. I was the business head for just 8 months before I was also asked to come and be the national sales manager at Dizengoff, overseeing the agric division which consists of four business units; tractor and implements, irrigation, green houses and consumables. I have been here since August 11, 2014. What would you say is the focus of Dizengoff in Africa generally, and Nigeria in particular? Dizengoff is primarily a subsidiary of a global company known as Balton group. It is a global company with interest in several areas: engineering, agriculture, communications and hospitality business. Balton has subsidiaries in several African countries including Kenya, Tanzania, South Africa, Namibia, Uganda and Ghana. Specifically for Dizengoff Nigeria, we are into Agriculture and communications. And for agriculture, we have four business units like I mentioned earlier; Tractor and implements, which provides solutions and services relating to agricultural mechanization for farming, also irrigation which provides services and solutions to people seeking solutions to irrigation; small scale large scale and medium scale. And then we have the green house technology which is actually the newest of all in this company in Nigeria. It’s been on for about 3 and half years. It is that technology that allows farmers, large, medium and small scale to grow vegetables, namely tomato, pepper, cucumbers, watermelon, sweet melon and the like, all year round in a screened net house known as a green house; without the encumbrance of having to wait for the dry season or to depend on rain, because it is a complete technology that allows you to produce vegetables under very secure, disease free, pest free environment all year round. Then the consumables, which caters for all the other needs of the farmers, from fertilizers to insecticides, pesticides and hebicides that the farmers will use in the course of production. So the focus of Dizengoff in a nut shell in Nigeria is agriculture and communications. We want to play our part. We want to be part of the history, when it is written anywhere in the future. We’ve been talking about agricultural transformation in Nigeria, food security. We want to help Nigeria realize her dream of becoming a super power in the world, as far as food production is concerned. What was your motivation for going into Agriculture? Was it something you always wanted to do? Like I said I was born in Lagos. Typically Nigeria is divided into six geo-political zones. In the South west it is not so much about agriculture as the north is known. I was born and brought up in Lagos where there is almost little or no agriculture taking place. And I heard people talk about agriculture. The moment, I think from age 3 when I discovered that it was agriculture that produces the food we eat, I felt maybe I should have something to do with this. But growing up in primary and secondary education, and seeing where my strength lies, I felt I could become a medical doctor, and I tried the first time and couldn’t make the grades for medicine, so I felt what else could I do? If I am not saving lives through medicine, I can also help save lives and make life richer by contributing my quota to the production of food, and so I opted for engineering, not just any other form of engineering. I could have done electrical electronics or petroleum engineering but I opted for agricultural engineering because I wanted to do something that is tied to life. I wanted to see what I can do to contribute my quota in any little way, to ensure that I help nurture human life. If I couldn’t do that through medicine, I felt it will be better to do it through agriculture. Not many young Nigerians see the prospects of agriculture in Nigeria or even wish to explore it full time. Why do you think this is so and what can be done to change this? That is a fact! Maybe that view by the young was really rampant when we were growing up. Most of us saw agriculture as back breaking, toiling… You have to toil in the sun with your hoes and cutlasses and nobody except those born in the family of farmers saw farming as anything attractive. Everybody thought farming was synonymous with toiling, with very hard work with little returns, but as we were growing up, I discovered that it is not as we thought it was. With an enabling environment, agriculture could be fun, in fact, agriculture is business. The developed countries all over the world know that, they discovered it decades before we did. In Nigeria I know that the federal and state government are trying to make agriculture attractive to the youths. I think basically that if the youths of today get the knowledge early enough that agriculture could be real business it will help. I know that agriculture is in the curriculum in the secondary schools, I think it is also there in the primary schools. It should indeed be introduced to children much earlier, so as they grow they will learn it, but then not all of them will pick interest in agriculture. As I sit behind my desk here, I have seen electrical electronic engineers, petroleum engineers and even medical doctors come here and want to venture into agriculture, because now everybody is realizing that it is business. It is no longer a backbreaking activity. You don’t have to touch a hoe to plant a seed, you have machines all over the place that can do this for you, although there is still the constraint of not everybody being able to get the machines, but we will get there soon. Green house technology is not new to Africa, yet not many farmers understand or leverage on it. Kindly tell us a bit about it and what small holder farmers in Africa stand to benefit from utilising it? Green house technology is used conventionally in the world over basically to raise crops, to produce crops that otherwise could have been grown outside but because essentially, green house is an enclosure which could either be transparent or opaque. The world over in the advanced countries, green houses are like glass houses, but not as transparent as the ones we see here. They are opaque and they use them to raise nurseries, by this I mean raising a plant in the earliest stage because they cannot survive out there in hardship. We bring them to the green house and nurture them and when they become of age, we transfer them outside. But over time, people and scientists have discovered that some crops will actually do better in the green house than the open field. So the green house technology is essentially that technology that allows farmers, or whoever is so interested to produce some crops under disease free, and pest free environment because it is an enclosure, whether it is a glass house or net house, like we have at Dizengoff. We are able to produce these crops without fear of insects attacking them or rainfall, getting too much for them. The technology avails farmers the opportunity of growing some certain crops under a disease free and pest free environment. They can do that all year round. Basically the crops that we have tried, that we know can do well in Nigeria are tomatoes, pepper cucumber, sweet melon, watermelon, and the likes. These crops are not friendly with too much water. And that is why crops like tomatoes are very expensive and not plenty in the market during rainy seasons. They won’t do well under such conditions. How affordable is the technology to the small holder farmer? Affordability is relative, because what is affordable to A may not be affordable to B; it depends on which of the divides you belong to. The definition of a small holder by the International Funds for Agricultural Development or by the World Bank and such international bodies is that, farmer that cultivates between zero to 3hectars of land. Even at that, they use manual labour to do whatever they are doing. However, we encourage small holders’ farmer, who intend to go into greenhouse farming, to form cooperatives, that way they can approach financial institutions for loans. Having been in this business for 3 and a half years, we’ve been looking for how to add value, how to make it available to the core of the small holders that constitute about 65% of the normal farmers you have in Nigeria.The subsistent small holder farmers actually are the ones producing the bulk of the food that we eat everyday in this country. And so we will be talking to banks and encouraging them to grant loans to these farmers. And so for the small holder farmers, when they get together in their groups which is the cooperative groups the banks are willing to then lend them this money, because, it is sure that they will get the expected returns, when they invest in green house production. What is your view of the Nigerian Agricultural landscape? As at 2012/13, Nigeria statistically had about 98 millions of hectares of arable land, which is of course land which can be used for agricultural production. But of these 98 million hectares, we are barely producing from about 33 million hectares, which is like about almost 1/3 of what we should be doing. And even at that, these 33 million hectares that are being cultivated are generally being done by small holder farmers who have no access to finance, no access to sophisticated equipment like I’ve talked about when I talked about, farm mechanization. So, the Nigerian agricultural landscape is a vast one, it is quite special because you go out there and you finish sucking on an orange, and throw the seed there and before you know it, in a space of 4 days to one week, it’s already germinating. So we have abundant resources here in Nigeria, especially in terms of agriculture, but unfortunately successive developments have been hard, especially since the discovery of oil, we have abandoned agriculture and focused on oil. If we focus on agriculture like we were in the 60’s and the 50’s when Nigeria used to be a super power in the world, not just in Africa. Talking about the days of the pyramids of groundnut in the north, the days we used to produce cocoa en mass from the South West, oil palm from South-South and part of the South-West we can be very great. So we have serious advantages, serious prospects or potentials that we have not tapped into. But hopefully, in the last nine years, there has been some conscious drive to move the people towards the land so Nigeria can regain its pride of place again in agriculture as far as the world is concerned. What advice will you give to young Nigerians who wish to go into Agribusiness but are unsure of how to begin? That’s a tricky one. Agriculture is a specialization, whether you like it or not. There are so many graduates out there like I mentioned earlier, saying they will like to go into agriculture. I know that it’s not all those graduates that would have studied agriculture in school, but basically whatever you need to do, you’ll need to know a bit about it. First and foremost, for a young chap who wants to delve into agriculture and perhaps who didn’t study it, he will need to find out little about it. Young Nigerians should have an open mind, and also understand that agriculture is a business and not a profession bedeviled with drudgery, back breaking work. They should know that they can get help out there. There are professional organizations and companies like Dizengoff where people can come to and get advice for whatever type of farming they want to go into and when the government plays it part and the banks know what to do with their funds, I’m sure every young Nigerian will do well there. Again, of course, agriculture should come with a passion to nurture plants. Keep an open mind, have that passion and then learn a little about it, even if you didn’t study agriculture in school. If 70% of Nigerians decide to farm, there is land for all of us to produce something that will feed this nation and the world. What do you think the Nigerian government should put in place in order to encourage its youths to go into Agribusiness? That’s a very good question. Everywhere in the world, where agriculture is the main stay, second earner in foreign exchange or the highest contributor to GDP, government has no business in agriculture because as long as our government continues to dabble into agriculture, believing they can own a plantation, or own this or that, it will not succeed. We know especially in Africa, that anything the government handles or supervises is likely going to fail; we have seen that over the years. So what the government needs to do is to help us drive forward in agriculture in Nigeria as an enabler. To give us an enabling environment, promulgate policies in the financial sector that will allow the banks use a substantial part of the depositors funds kept with them and lend them to people who are in real agriculture. The world over, the agricultural sector gathers most returns for the banks. But in Nigeria basically because we have oil, and can easily just finance importation and exportation, take crude oil and bring in refined oil in 3 weeks, they just want a quick turnaround, because agriculture generally is time bound. The earliest maturing crop for instance is about 60 days and the banks think that, that time is too long for their returns and that’s risky because agriculture is natural because if there is too much rain or flood, some of these crops can be blown away and banks don’t want to tie down their money in such risky ventures. But again basically, I think the most important part of it why agriculture is not doing well in Nigeria and getting funds is because the banks lack knowledgeable Individuals manning the agricultural desk. So the government needs to promulgate laws that will compel banks to lend to agriculture, create an enabling environment like in the days of Awolowo that we had agricultural farm settlements. Government should go to a place and clear like 30,000 hectares and let people settle their and do their farming. They should provide electricity for them and all they need. We will be there before you know it. What has been your motivation over the years? What keeps you going? I owe it to myself. I mean for me, I wasn’t born with a silver spoon and I toiled through primary, secondary and tertiary institutions. And I told myself God willing and with my determination that my children will not suffer the same hardship that I suffered. Thankfully that prayer is already being answered and I look into Nigeria and see that the decision makers, people who control the economy in this nation are few and far between, you can count them on your finger tips if you have time. And I see that God has deposited something in every one of us. Everyone has a gift. Until we find what that gift is and decide to harness it and take total control of it, and make the most of it we will keep on struggling. And so for me, I go into a new environment; new office, house, job and what I like to do is doing old things in new ways always. It is one of my philosophies. I never see obstacles, I see my goal and I don’t mind the degree, number of obstacles in front of me. I am aiming for the laurel on the hill. Nothing stops me. I have worked in several difficult environments, but I have managed to survive and move up the ladder. I am still on the ascendency, so with determination on anyone’s side, you have nothing to fear. You will always achieve your goal. The first and most daunting challenge was the fact that I was jobless for eight years after graduating with a Second class upper in agricultural engineering, and I felt oh! The world is there for me just to take. But the first reality that struck me out there is that it is not as I thought. It is really not a stroll to get up there irrespective of whether you graduated with a first class or a pass. I think in Nigeria, the factor that is it is who you know and not what you think you can do to get you the job or riches. So the first challenge was joblessness for eight years post service. If I didn’t crumble then, then I don’t think I ever will throughout my life time. So I surmounted that hurdle which was the most difficult period in my life. I have faced lesser challenges afterwards though and so I see them as nothing compared to what I have faced in the past. And so like I said, I have determination to succeed and see that my children and people that depend on me in my environment, organization, state and country and anywhere around me are not disappointed and are lent a helping hand. That has kept me going. Without a shadow of doubt, I wouldn’t have reached the age or retirement in Nigeria by any standard. But in ten years, I should completely be on my own. I should have my business. I should also be an employer of labour and contribute my quota to the development of Nigeria. On a cadre, I am not a politician, but I see myself holding a political office and it definitely have to be in agriculture, so that whatever we have learnt in the course of this career, we should be able to put in practice and shape Nigeria for the future. How does working long hours affect your family life and what aspect of your job keeps you awake at night? All through my career, from the CBN, I have done nothing other than agriculture and it has been such that has made me travel. There is almost no state in Nigeria that I haven’t visited, maybe except Yobe. And so, the greatest challenge that I have faced with my family is the fact that I’m sometimes not home; almost always on the field. However, when I am home, I try to make it up to my family, particularly my wife and kids, by spending quality time with them. I have chosen this field of career and will continue to do till I retire, even then, my consultancy and dedication to service will still make me travel and help people solve problems irrespective of wherever they are in the world. Talking about what keeps me awake at night, I don’t want to keep what I can do today for tomorrow. Each day I come to work, I make a list of what to achieve in the day, and I try as much as possible to achieve at least 70% at work and then when I get home, I try to finish the remaining 20% at home before coming back the next day. I want a clean slate the following day. And so that’s probably the part of my work that keeps me awake at night. It doesn’t happen often though, I make sure that the 8-5pm (nine hours) I have at work is sufficient for me. It’s all about planning. You plan and stick to your plan! Was there a time in your career that you felt like quitting? There were several times that I felt like quitting. You know having worked in different places, from finance to NGO work, to the private sector and multinationals like I’m working now, I have had several challenges on the job. But I think in each of the jobs, there have been challenges. You may have a boss that is impatient or doesn’t recognize what you do. You may have a subordinate that doesn’t do what he has to do on time, so you end up doing your job and that of the subordinate. There has been enormous pressure to the point I felt like I should just resign and go, but then what has kept me going is the fact that I told myself that I have a family and I don’t want my children or anybody looking up to me as a model to suffer the fate that I suffered. So I have to keep going for them, not just for me. Who/what has had the biggest impact on your career and why? It is unarguably the leave that I took from CBN to my first NGO work in 2009. I was inspired by one of my bosses at that time. 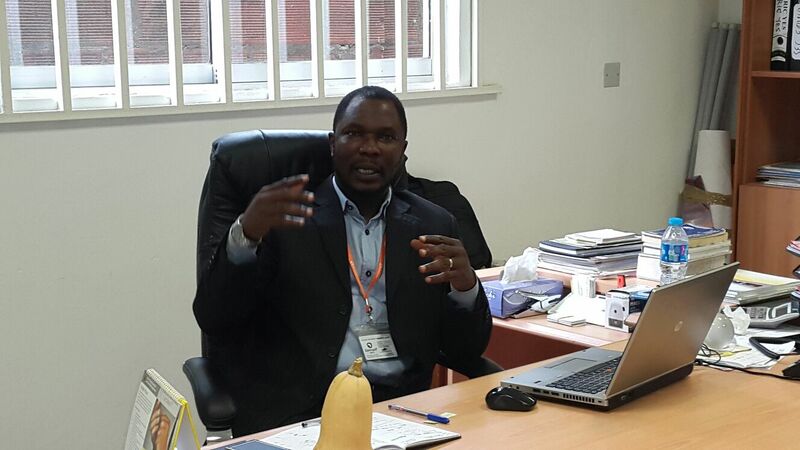 He was a deputy director at the CBN, his name is Paul Nduka Eluhaiwe. He encouraged me to take up the position at the NGO as it will take me to heights I never thought I could get to in life and help me build a wide network of professionals and also make me versatile, such that by the time of retirement, I would have options in so many things and without having to break a sweat. And I think that it has actually happened that way. He encouraged and allowed me to take my annual leave when it wasn’t due and told me to go and try the NGO for two months and that if I find after two months that it is not what I want to do, then I’ll return, but if I like it I resign. 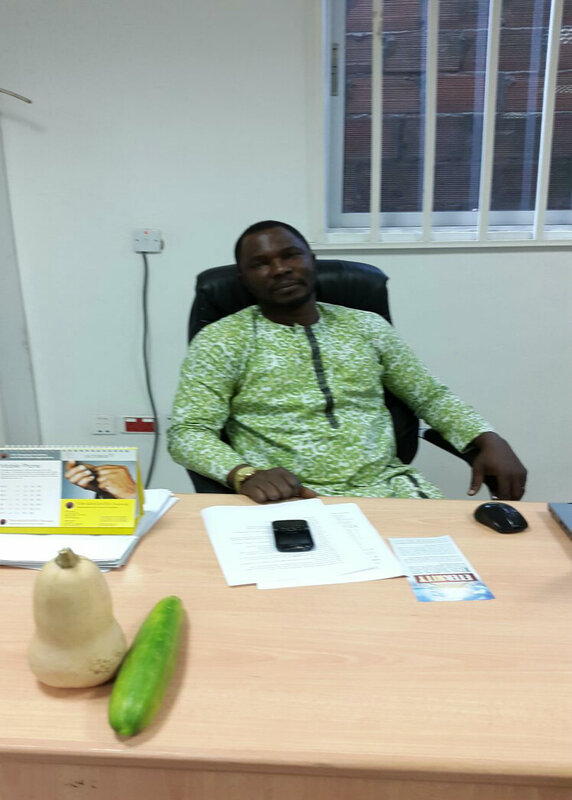 I went to IFDC, spent my first month and liked what I saw and then went back to CBN and resigned. That singular leap I took, although suicidal; (my colleagues thought I had gone mad for leaving CBN), changed my life. But I knew that was not what I wanted to do. There was much that I wanted to explore in the agricultural sector and so I opted for tougher challenges and left the CBN and today I have no regrets. A challenge, face it! Take it on. Africa is already rising. You would have heard about the G8 and the countries that are ruling the world today and you also would have heard of the BRIC- Brazil, Russia, India and China. I think after the G8 and the BRIC, people are now focusing on Africa because Africa is on the ascendancy. And there are a number of countries in Africa that will begin to compete. We are already competing with some world super powers in terms of population. We are following people like India and China. So Africa is on the rise already and by and large, this is the 21st century; it might not be in our generation, but I know that by the 22nd century Africa will be rubbing shoulders with the high and mighty in the world. Any question I should have asked but didn’t? I don’t think so. I believe that we have covered every blade of grass. I have shared all I’d love to. Aim for the laurels on the hills! It is my pleasure. I am honoured. I feel humbled and important that Konnect Africa deemed it fit to speak to someone of my caliber in this little corner of Nigeria. I’ll be willing to do this as often as Konnect Africa calls on me. Very strong words of encouragement from the respondent, it’s been really motivating. Thank you! Many thanks Falade Halima. We are glad that you’ve been motivated. Go ahead and live your dreams.